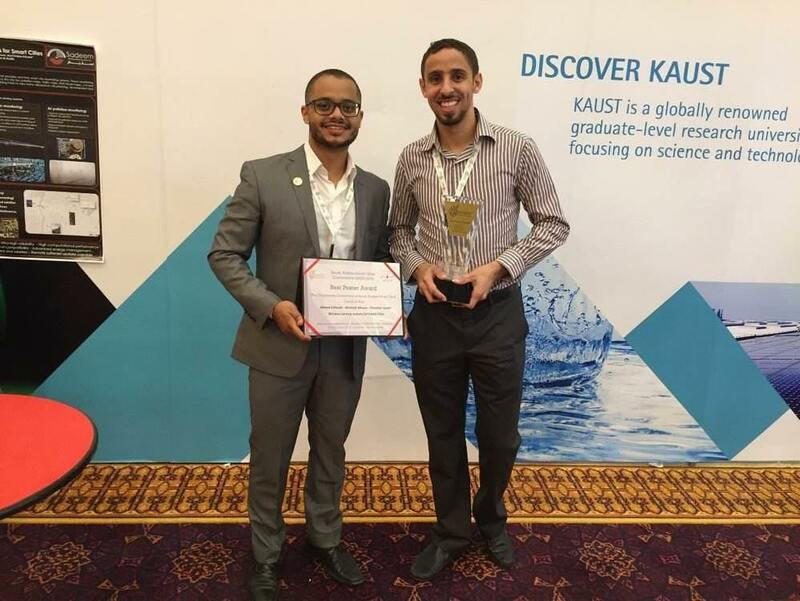 Two KAUST students won a ‘Best Poster’ award at the ‘Saudi Arabia Smart Grid Conference on Smart Grids and Sustainable Energy,’ which was held in Jeddah from December 7 to 9, 2015. Mustafa Mousa and Ahmad Dehwah, KAUST PhD students in electrical engineering, along with former KAUST professor Christian Claudel, have developed a wireless sensor network that is the world’s first solar-powered urban flood and traffic monitoring system. Urban cities are expanding rapidly, and this growth is putting pressure on existing infrastructure. Climate change is also creating uncertain weather patterns, including increased incidents of flooding. These realities can wreak havoc on urban transportation systems and even lead to casualties. Mousa and Dehwah have called their monitoring system ‘Sadeem,’ which means Nebula in Arabic. Sadeem powers itself through solar energy and is not dependent on existing power grids or 3G systems. This means it can function normally in emergency situations when power might not be available. One of its main advantages is that it can be easily integrated into a city’s existing IT systems and software. Both Mousa and Dehwah have received mentorship from the Innovation and Economic Development Department at KAUST, including attending the Entrepreneurship Center’s Hikma IP-based Startup Accelerator and support from the Technology Transfer Office in patenting (pending) and commercialization. At the conference in Jeddah, the Sadeem poster submitted by Mousa and Dehwah won against 25 other posters submitted from students at different Saudi universities. This entry was posted in Entrepreneurship, Technology transfer. Bookmark the permalink.